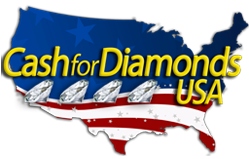 Sell Your Diamonds Locations is a free diamonds buyer directory to aid consumers in finding reputable local diamonds buyers. Sell Your Diamonds Locations does not buy or sell diamonds. We are a service that indexes the local diamonds buyers in major cities across USA to provide consumers with the necessary information to ensure a smooth diamonds selling process. Our cash for diamonds directory is constantly updated and provides detailed information about the businesses that we work with. By providing this information all in one location, Sell Your Diamonds Locations is the leading website for locating where to sell diamonds in your city. If you have any questions, please feel free to contact us today!